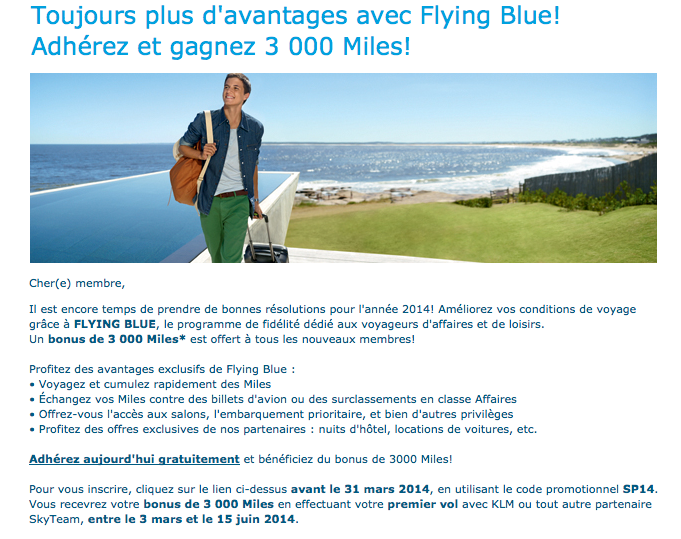 Today sees the return again of the Canadian Air France KLM first flight bonus when you join their Flying Blue program. The last offer just ended on January 31st so it hasn't been too long since we last saw it! This is a duplicate of that promotion and the past summer offer and as such is unlike most other AF KLM sign up bonuses as this one is not limited to AF KLM flights but is open to any SkyTeam flight! So you can fly Delta, Korean, Czech Airlines, or any other SkyTeam airline to earn this bonus.